(R.T.), 57, crossed over to “the shore which is beyond suffering” on Sept. 4, 2012, at his home in Eureka, with his loving family by his side. He fought lung cancer as he lived life: full of hope, bravery, dignity and humor. R.T. was born on Aug. 12, 1955, in Galveston, Texas. His parents were R.T. Fuller Jr. and Emily May McLane. He had three siblings: two sisters, Terry Lee and Becky Ann; and one brother, Halden Guy Fuller. In 1973 he joined the U.S. Navy and served on board the USS Thomas Jefferson, a nuclear submarine, until his honorable discharge in 1976. He was a torpedo man and ordnance mechanic. He remained patriotic and vigilant throughout his life. After leaving the military, R.T. obtained a US Merchant Mariner’s card in 1979 and a Coast Guard captain’s license in 1986. He married Jessica June Loya Nov. 22, 1978, in La Marque, Texas. They had three children: Render Terry Fuller IV, Thomas Daniel Fuller and Sarah Beth Fuller. He worked various jobs, but was very proud of the work he did for N.A.S.A. He worked at the Johnson Space Center in Houston, Texas, from 1980-1987. He received numerous awards as an aerospace mechanical engineering technician in research and sevelopment, including investigative work after the Space Shuttle Challenger accident. He moved his family from the Houston area to the Hill Country area of Texas in 1987. R.T. then moved with his family to New Mexico. In 1992, R.T. moved with his wife and children to Eureka, where they settled on 20 acres and built their own log cabin. During this time, R.T. worked for the Forest Service, built and managed a Trading Post selling his leather goods, trade beads and other “trading post” items, hosted “Great Experience Camp” on his place for guests from Japan and worked as a security officer. R.T. studied martial arts when he was young and reached status of Grandmaster and Jonin in the style of Koka-Ryu Ninjutsu in recent years. He taught his martial art beginning in 2002 until his passing. His students were few, but dedicated, showing him both honor and respect. R.T. also studied Zen, and in July 2012, he obtained a tax exempt status, founding Running Wild Zen Temple. His plans were to raise money to build a teaching facility to help veterans and any who were seeking knowledge in meditation, quiet reflection or stress reduction. R.T. was full of life, love and a desire to learn and experience so many different things. 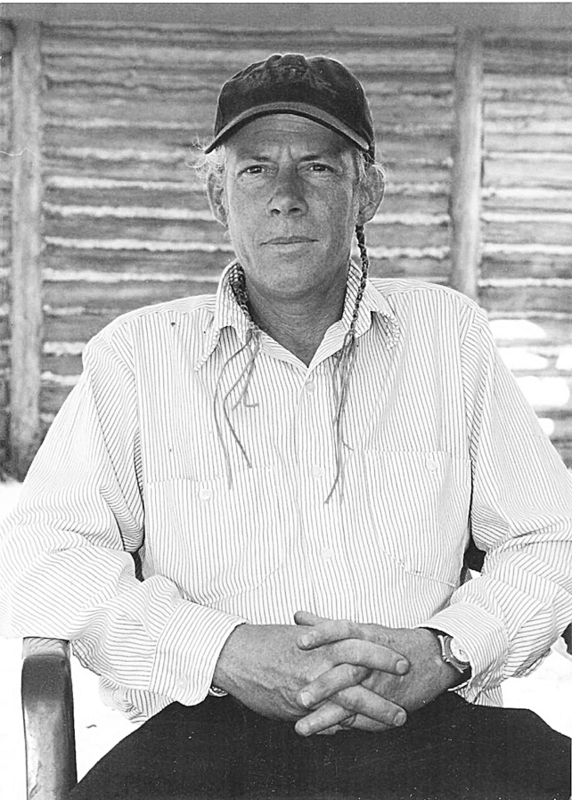 His hobbies and interests included motorcycle riding, model building, fishing, sailing and boating, swimming, playing harmonica and listening to music, studying history and religion, learning about his Native Comanche ancestry, painting, traveling, and growing bonsais. He also liked to visit or “talk story” with anyone who would listen; he never met a stranger, and so enjoyed sharing his life stories and listening to others. R.T. was particularly proud of being a husband, father and grandfather, noting that these were his greatest accomplishments in life. R.T. is survived by his wife Jessica; his son Terry and wife Shannon of Missoula; his son Thomas and fiancée Aimee Hernandez of Austin, Texas; his daughter Sarah and boyfriend Vitaliy Gerasimov of Eureka; his grandchildren Katie and Render Fuller of Missoula; and Payton Fuller of Austin, Texas; his father R.T. Fuller, Jr., of La Marque, Texas; his sister Terry Lee Fuller of Austin, Texas; his sister Becky Fuller; nephew Aaron Fuller and niece Emily Cherrier of Texas City, Texas; his brother Guy Fuller and niece Paige Fuller of New Hampshire; and many other loving family including in-laws, aunts, uncles, cousins, nieces and nephews. R.T. is also survived by many friends he has made over the years and his Jack Russell Terrier, Zero. He is preceded in death by his mother Emily May McLane in 2002. His family plans a celebration of his life at a future date when they can all be together again. Thank you to all who loved R.T., were friends with R.T. or who helped him or his family in any way; there are too many to name, but you know who you are and what you have done. Remember the lyrics from a song by Bob Marley: “Could you be loved…and be loved?” R.T. loved his family; he loved his friends; he loved life; he loved his country, and he loved God. What more is there? He will be greatly missed. Peace to all.